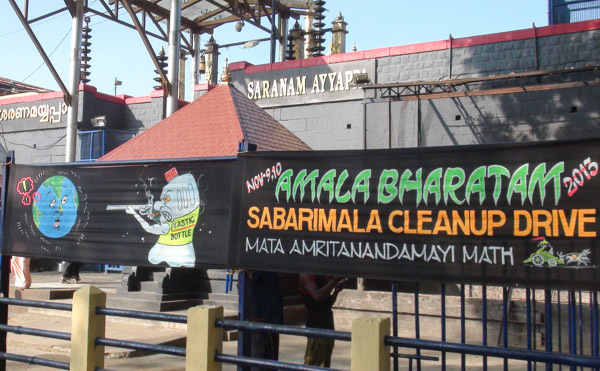 Mata Amritanandamayi Math has organised another major clean-up drive at the sacred Sabarimala Sannidhanam and Pampa riverside on Nov 9thand 10th before the onset of the festival season, responding to the request from Travancore Devaswom Board and the Kerala State Government. 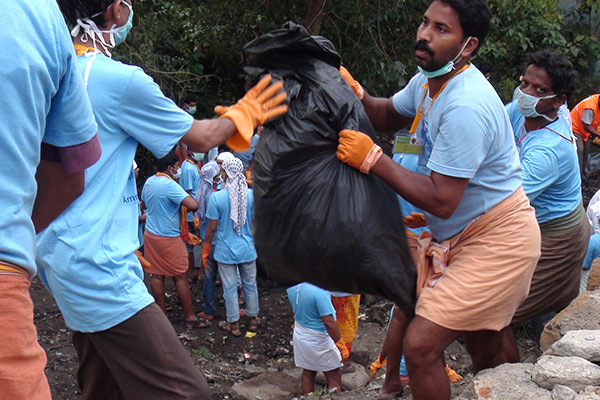 This is the fifth edition of Sabarimala cleanup drive undertaken by the ashram in the past two years. 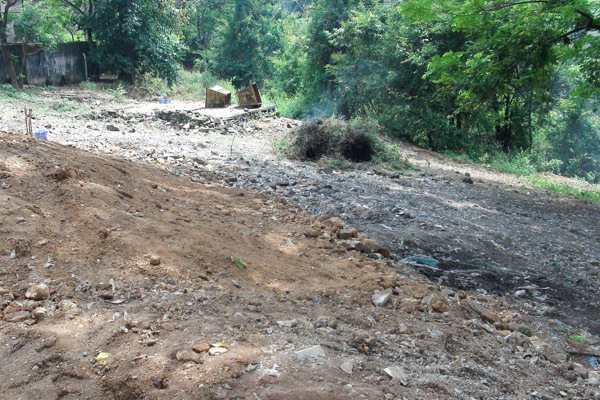 The present drive is also on the lines of the massive clean-up and waste disposal drive carried out by the MAM in the past two years when garbage piled up for decades were removed and disposed off by the selfless service and committed efforts of volunteers and devotees of Amma. 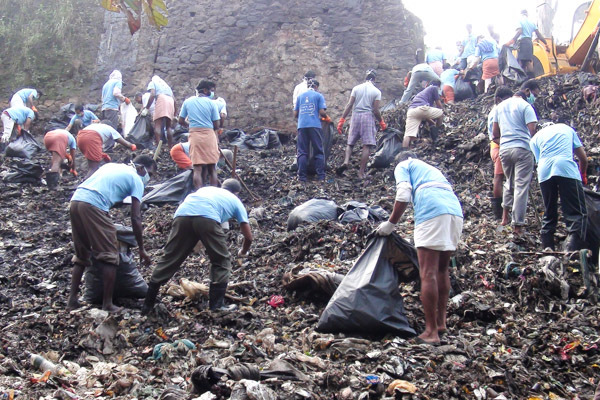 Nearly 1500 devotees from all districts of Kerala are expected participate in the clean up drive this year. 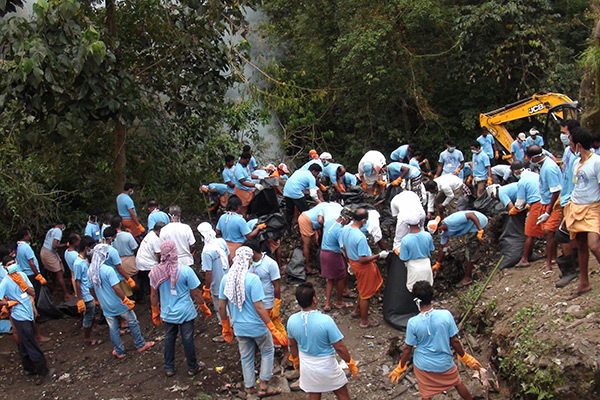 Hundreds of devotees, ashram inmate’s, students and staff volunteers of Amrita University are participated in the cleaning drive which will include both Sannidhanam and Pampa. 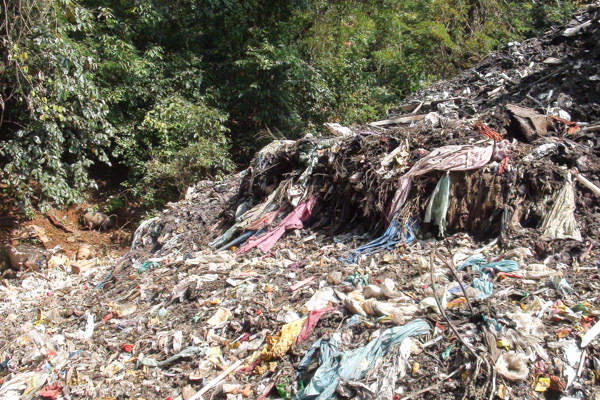 Sabarimala continues to suffer from the lack of a proper waste management system resulting in the piling up of waste after conclusion of each festival season. 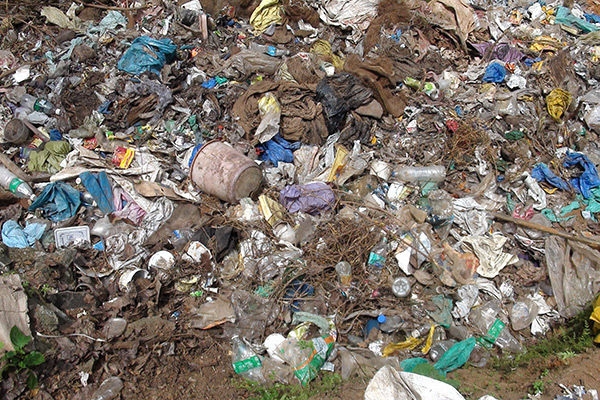 Implementation of a scientific waste management system that includes sorting waste at the source and disposing of the waste using appropriate means can go a long way in making Sabarimala a clean and hygienic place for millions of pilgrims thronging the sacred temple every year. 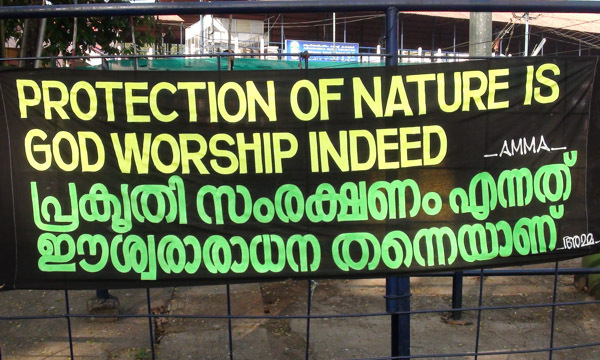 The present drive is hoped to free Sabarimala of all its plastic, paper, clothes, metallic and other miscellaneous waste that has been littered all over the holy grounds and the forest. 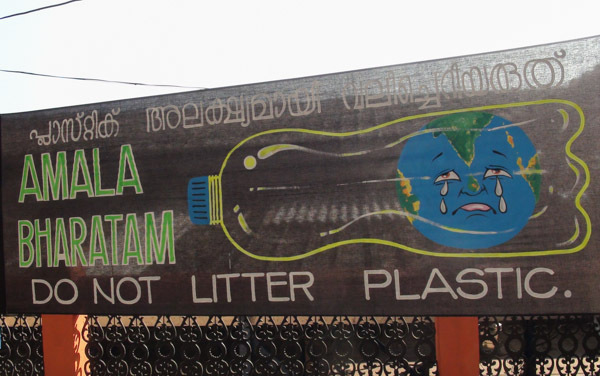 Recyclable and non-recyclable items will be segregated and collected separately and will be handed over to the Sabarimala Ecology department for proper disposal. 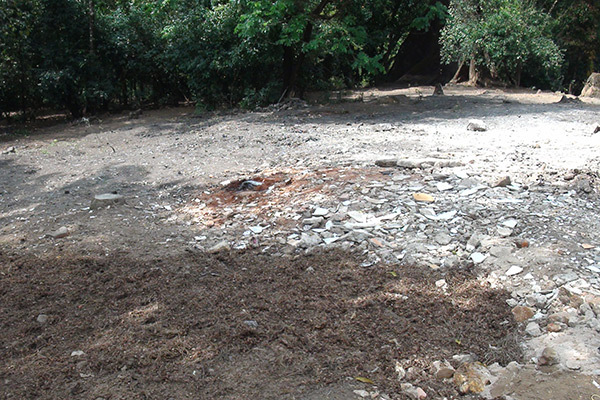 The MAM has already made available at the site various cleaning tools and equipment for the cleanup drive. Amrita Institute of Medical Sciences (AIMS), Kochi has made arrangements for providing well-equipped medical care including ambulance facilities. 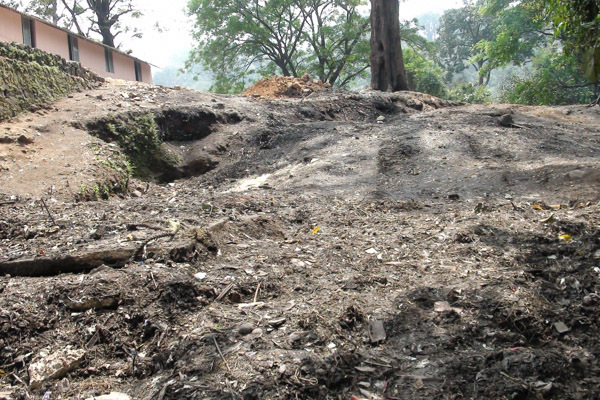 The Travancore Devaswom Board is providing food and lodging for all volunteers. 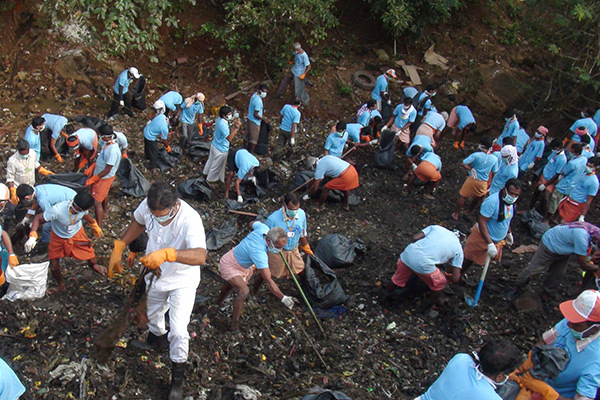 “It was a wonderful experience to take part in the cleaning mission of the Math at India’s well known pilgrim centre. 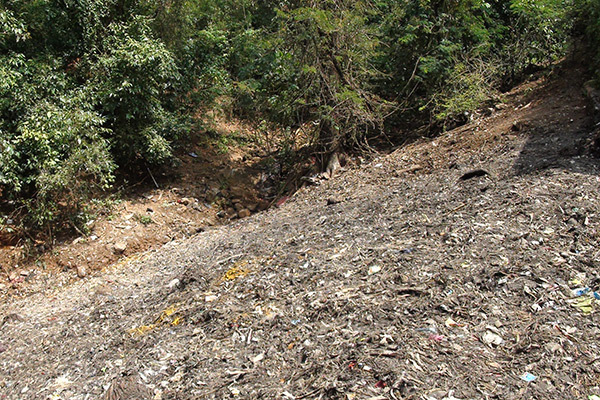 The Ayyappa devotees should take extra care to maintain the serene atmosphere of this forest environs, ensuring better cleanliness,” Xabier Jauregui, biologist from Spain was all smiles while coming out of river Pampa after completing the cleaning drive. Marthu Gonzalez, a dentist from Spain and Celine Bussinger, hydraulic engineer from France, too considered it a God-sent opportunity to take part in the cleaning drive at Pampa. 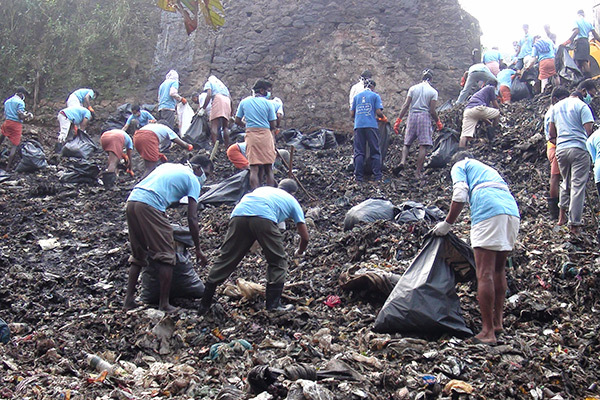 As many as 65 foreign nationals, 3,400 sanitation volunteers of the Amala Bharatham project of the Math from different parts of Kerala, Tamil Nadu and Karnataka which includes 800 women volunteers attached to the educational institutions of the Math, took part in the cleaning operation held at Pampa on Sunday. 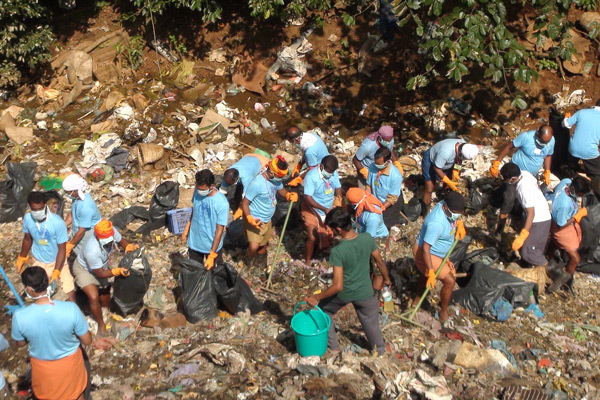 The volunteers removed as many as 5,000 bags of solid waste from river Pampa, and surroundings areas, besides 10,000 bags of recyclable waste from the Sannidhanam. 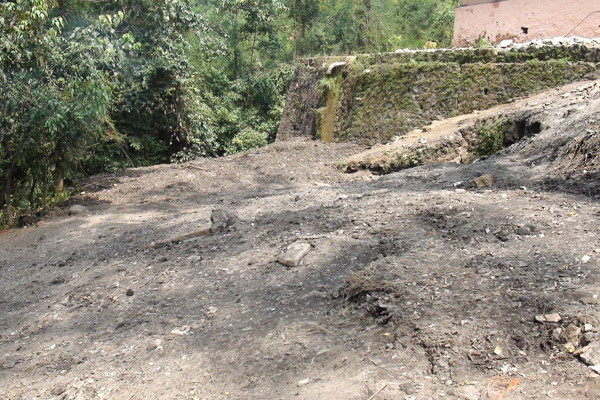 The recyclable waste collected in separate bags have been shifted to the Valiya Nadapanthal for transporting it to Pampa, later in the two-day intensive cleaning drive. 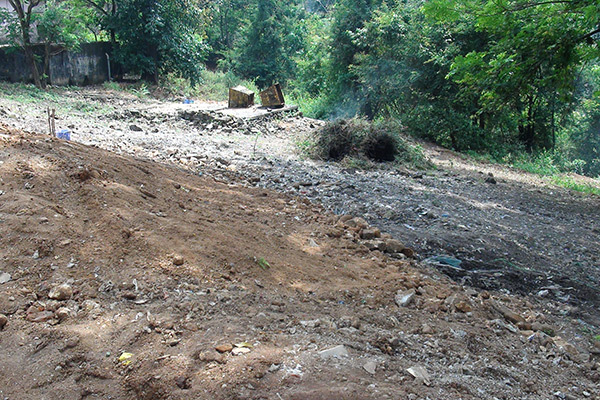 This is the fifth time MAM is doing the cleanup drive at Sabarimala.